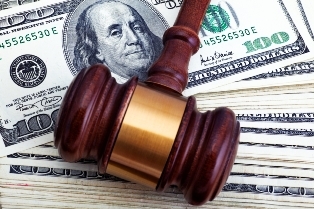 Wealth management giant Raymond James has been ordered to pay $17 million to industry regulator Finra in relation to its anti-money laundering programs. According to the regulator, the company enjoyed a significant growth period from 2006-2014 – however, this growth was not matched by its compliance processes and systems. In an announcement, the regulator outlined that there were fault systems in place that led to inadequate investigations and left red flags undetected. In addition, it was stated that the firm did not conduct the necessary due diligence and risk review for foreign financial investments. The company’s former AML Compliance Officer Linda Busby also faces fines as Finra found that she did not ensure necessary reviews occurred and didn’t maintain a suitable customer identification program. It’s not the first time that Raymond James has run into trouble in regards to AML procedures. Back in 2012 it was also sanctioned with a settlement reached to review its program and procedures. According to Brad Bennett, the chief of enforcement for Finra, writing on the company’s website, the failures of the firm were spread over a significant period and the fact that there were previous sanctions made the newer developments even more notable. “This case demonstrates that when there are broad-based failures within specific areas of responsibility, we will seek individual liability where appropriate,” he said. The $17 million fine is split between $8 million for Raymond James & Associates, and $9 million for Raymond James Financial Services. Meanwhile, Busby has been hit with a three-month suspension and $250,000 fine.